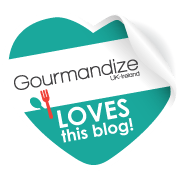 I must admit I do love hummus, anytime of the day I can find a way to sneak it in to my meals! My favourite way to enjoy it just now is with some quinoa and root vegetables roasted in a little coconut oil…simple yet delicious. 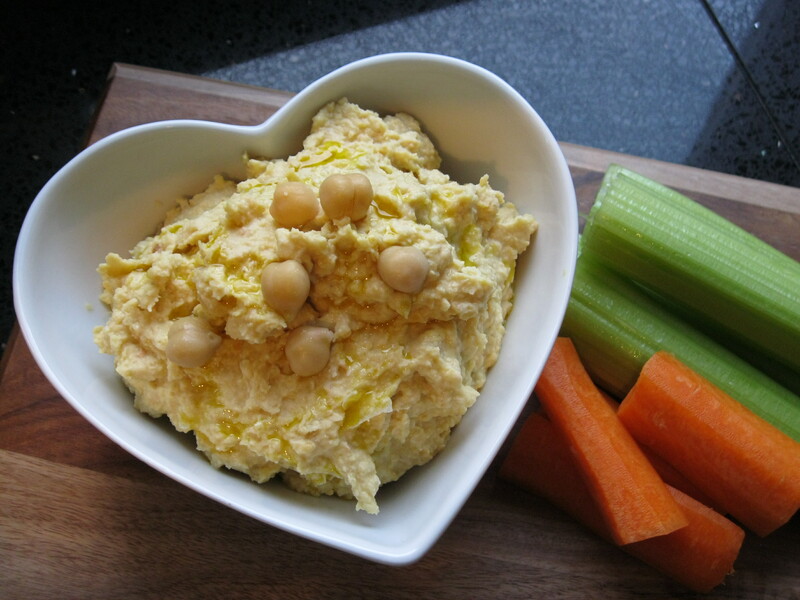 Hummus is easy to throw together and keeps well stored in the fridge. Store bought can be just as good and quite convenient but some manufacturers add sugar! Why would sugar be needed in hummus? If you are buying prepared hummus from a store just have a quick read through the ingredients and make sure there is no sugar hidden in there. This recipe is just for a plain hummus but you could a pinch of ground cumin, chilli, paprika, spinach, the list is endless. I’ll be posting another hummus recipe soon with red pepper and chilli so look out for that. A quick little tip: when using tinned chickpeas be sure to rinse them thoroughly. You may see bubbles when rinsing them in a sieve, rinse them until the bubbles are all gone. These bubbles are what makes us bloat and give us, erm, gas, lovely! Place all ingredients in a blender and blend until desired consistency. 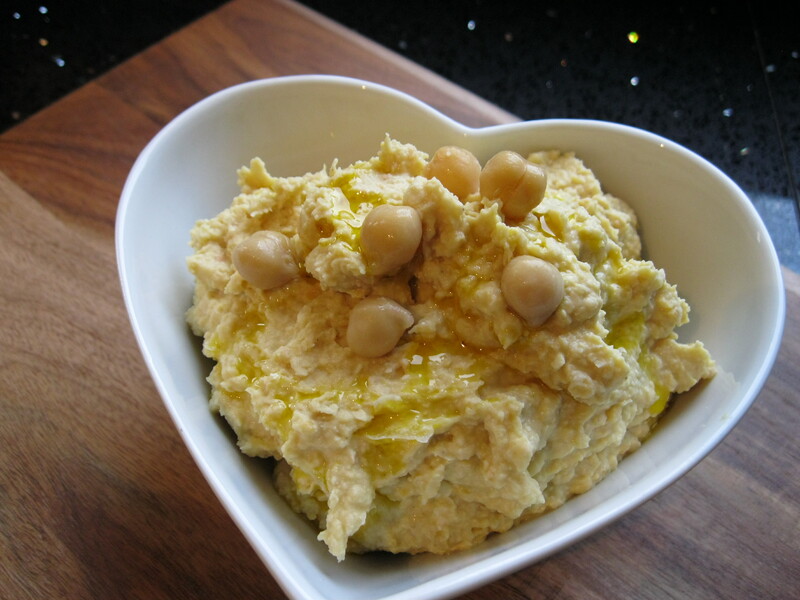 This recipe makes quite a firm hummus, if you want one a little looser, add more water. Serve with sliced vegetables, have on oatcakes or baked potato, use as a sandwich filler, eat straight from bowl.